Kristelle Lavallee is the Content Strategist at the Center on Media and Child Health (CMCH) at Boston Children’s Hospital. Ms. Lavallee holds a B.A. in Psychology and Communication Arts from Gordon College and an M.A. in Child Development from Tufts University, where she based her thesis on her research for the PBS show, WordGirl. After graduating, Ms. Lavallee worked as a private school teacher at the Park Street School in Boston where she founded the Media Literacy Club for 5th and 6th graders. After leaving Park Street, Ms. Lavallee took a position at KidsCOOK Productions as an Associate Producer for KickinKitchen.TV(now KickinNutrition.TV), a scientifically-based, multimedia platform dedicated to educating tweens about living healthfully through nutrition and exercise. 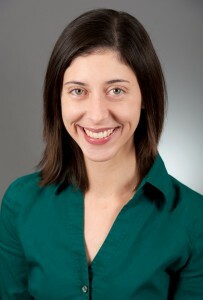 Today, Ms. Lavallee manages the Center’s interactive and social media accounts and translates CMCH research into actionable advice, practical health resources and through curricula that promote children’s healthy and developmentally optimal creation and consumption of media. Ms. Lavallee’s work has been presented at psychological, communications and education conferences and she has spoken to clinician, parent, educator, and community groups about the importance and impact of media literacy, social media, and family and child health.